Cats have always been favorite pets of people from all walks of life. You really can understand these often mysterious creatures and find the breed most compatible to your family and lifestyle. Get ready to bring your cat home by purchasing and properly situating the right bed, litter box, and scratching post, as well as by buying food and other equipment. Be sure your home is "cat-proof," and learn the best ways for easing the cat into its new environment. Understand basic care routines, select a vet, and examine the advantages and disadvantages of indoor and outdoor living for a cat. Teach your feline friend tricks and play games. 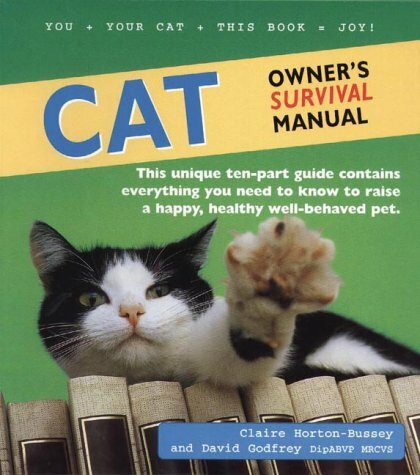 Details on breeding, basic anatomy and first-aid, and an A-Z of common ailments and disorders are also included.